Getting into veterinary school is extremely competitive. Most veterinary programs have a limited number of positions to fill, not all students who apply get in. 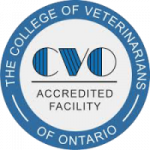 Those who hope to become a veterinarian must have high grades in their pre-veterinary studies. In addition, any real-world experience or additional years of college may be beneficial.